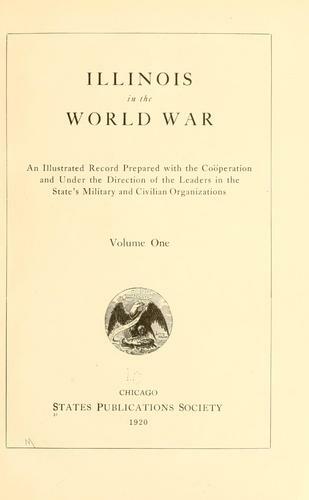 1 edition of Illinois in the World War found in the catalog. Add another edition? Are you sure you want to remove Illinois in the World War from your list? an illustrated record prepared with the coöperation and under the direction of the leaders in the state's military and civilian organizations. Published 1920 by States Publications Society in Chicago .